Ride the Drive is my favorite Madison bike event. For a few hours each year, what is usually a busy thoroughfare full of cars gets transformed into a quiet, peaceful space full of smiling people. Media reports and roadside signs before the event reported that "John Nolen Drive is closed to traffic," but what those signs should have said is "John Nolen Drive is opened up to people." This year I was unable to ride the drive myself because of a broken wrist. Instead I took pictures of happy people on bikes, unicycles, inline skates, ... Enjoy and let us know what your favorite Ride the Drive moment was! This week there is only one meeting on the calendar, after last week’s three city transportation meetings. The meeting is tonight already and deals with "proposed bike route system enhancements along West Main Street, South Shore Drive, West Shore Drive, and Gilson Street" (see map above). Read more about the meeting, as well as a short recap of last week's meetings after the fold. Madison Bikes Needs You: Volunteer with Us! Madison Bikes is a young organization, and we're run almost entirely by the volunteers on our board of directors. To become a sustainable and effective organization that can achieve our vision, we need your help. A bike advocacy organization requires many skills and people who are willing to contribute those skills and their time. If you would like to volunteer with us (or have questions about volunteering), please go to our volunteer sign-up form. We really appreciate your help, no matter whether it's helping out for a single event or signing on as a longterm volunteer. We look forward to hearing back from you and already say thanks for your contribution. Please share this post with others who may be interested in working with Madison Bikes. We try and keep all regular transportation-related city meetings on our Community Bike Calendar. This week's highlights: The 4th week of the month is always a busy one for city meetings, with meetings of the Pedestrian, Bicycle, and Motor Vehicle Commission (PBMVC), the Long Range Transportation Planning Committee (LRTPC), and the recently created Transportation Ordinance Review Ad Hoc Committee (TORC). 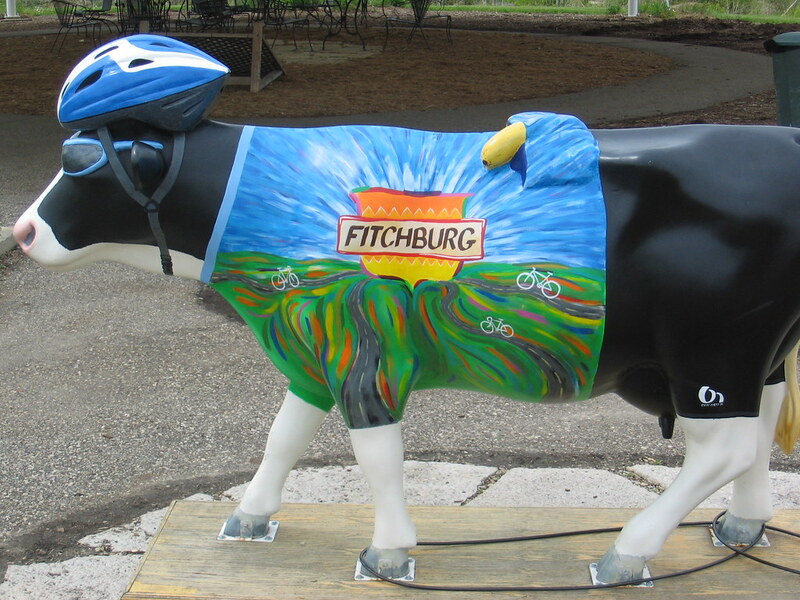 In addition to those meetings, it's also the week of one of Madison's biggest fun bike events, Ride the Drive this coming Sunday. More details after the fold. The Cap Times has over the past years regularly hosted discussion panels on locally relevant hot topics, such as housing affordability or criminal justice reform. Now it is time to talk bikes, and one of Madison Bikes' own, Robbie Webber, will be part of the panel of experts. 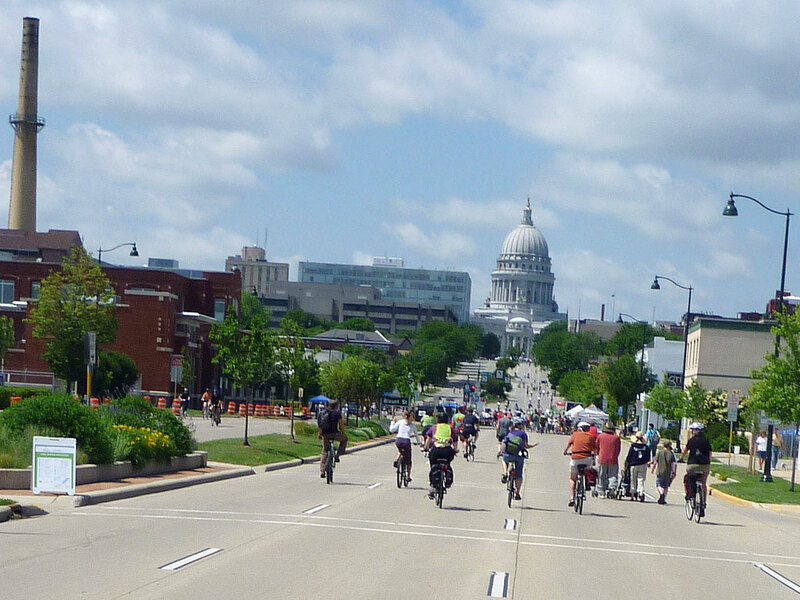 "How can Madison make room for the bicycling boom?" will take place at the High Noon Saloon on June 28, starting at 6:30pm. 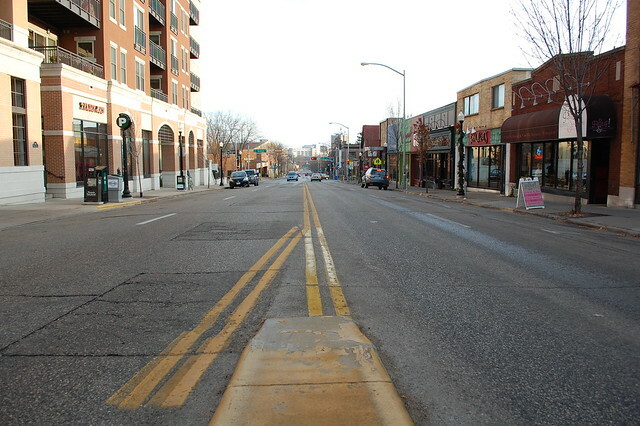 Monroe Street will be reconstructed in 2017. On June 13 the first of a number of public meetings will take place, providing you an important opportunity to provide input early on in the process. The meeting will take place at the Wingra School Gymnasium (second floor), 718 Gilmore Street, from 7–9 pm. Registration is recommended but optional. Update 4/6: A previous version of this post had the location of one of the commuter stations wrong. Fixed below. Madison Bike Week kicked off on Thursday with the New Belgium Clips & Beer Film Tour at Olin Park. The main chunk of Bike Week will be happening next week though. 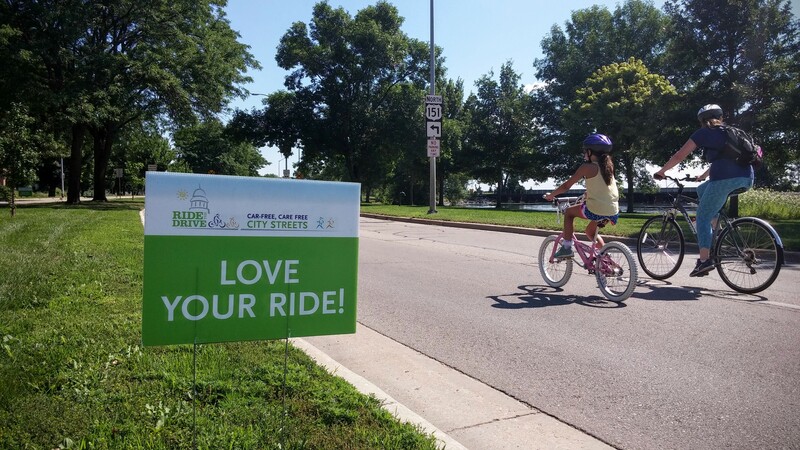 Madison Bikes folks will be at both the commuter station near Machinery Row/John Nolen between Broom Street and Monona Terrace as well as at the one at Crazylegs/Camp Randall Monday to Friday between 7 and 9 am. We'll have awesome spoke cards, sign-up sheets for our newsletter, and you can talk with us about all things Madison Bikes.